Good morning!! I have a fun tutorial for you today -- a Shaker Card! These are so much fun, and so easy to make! Stamp large snowflake in Marina Mist, then small snowflake in Night of Navy ink, to create your own background. Make sure you stamp in a “close” pattern, so that you’ll see the snowflakes after cutting out the letters. You can also stamp more after cutting, if needed. The holidays are just around the corner, and I have a wonderful opportunity for you! 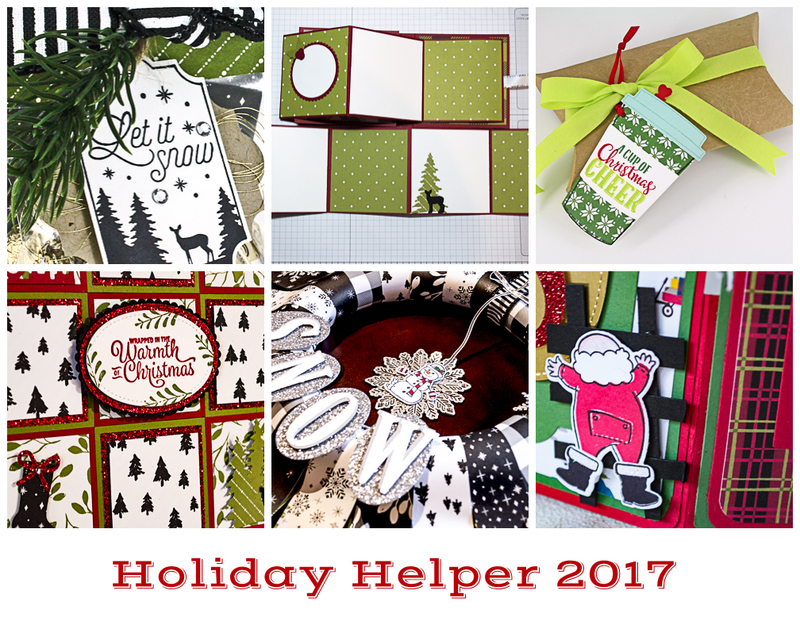 I am going to be sending out 6 Holiday Helper Projects that will not only put you in the holiday mood, but help you to enjoy a handcrafted holiday season. With each mailing, you will receive not only a picture of the finished project, but you will also receive a complete supply list with a step-by-step tutorial that shows you exactly how to do the project. But you can only receive these projects by joining my special Holiday Helper mailing list, so be sure to sign up today!